New parents are always looking for fun ways to interact with their babies. While at the Chicago Toy and Game Fair (ChiTAG), we got to chat with the inventor of Yoee Baby, Jillian Lakritz! And can you believe the baby toy all started with a feather! "Yoee Baby was inspired by caressing Baby with a feather," says Jillian. 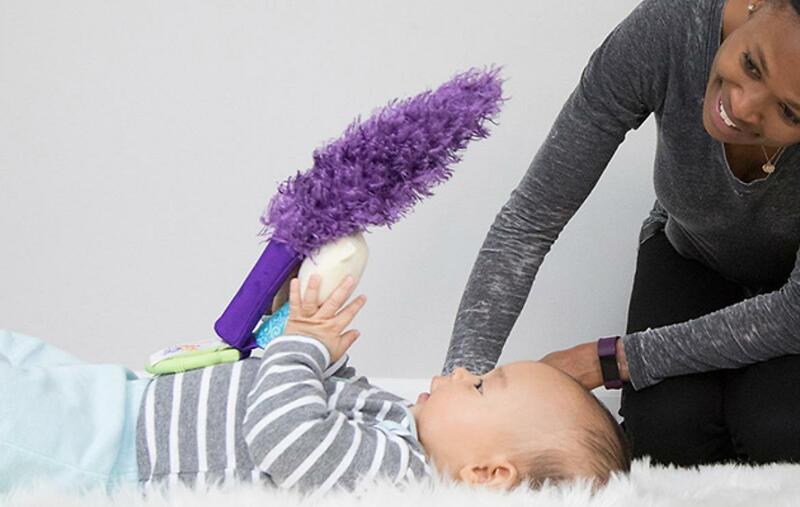 "The tail is very soft and feather-like, and it’s got little rattles and crinkles, and a food-grade silicone teether.” The handle makes it really easy for Baby to pick up. 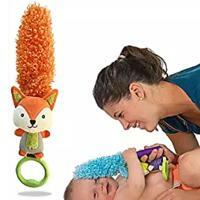 The baby toy is “great for stimulating Baby’s senses, for tickling, for caressing, and babies love the touch of the soft feather-like tail that makes them smile and coo, and really it’s a great way to play with Baby from day one,” says Jillian. 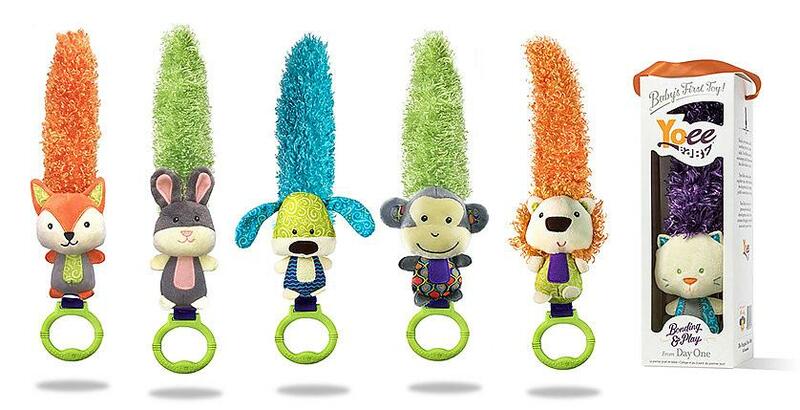 But basically, all Baby knows is that the toy makes him smile and coo – and we all know that’s a good thing! Yoee Baby just got picked up by Nordstrom and is available nationwide. Wonderful first toy for Baby! I love how it allows you to intuitively interact and engage, starting at Day One.